For parents of small children, car seats are an integral part of day-to-day life. Making sure children are safely buckled and secure is the first step for any car ride, and it helps to ease parent’s minds before hitting the road. However, a new study conducted by researchers from Indiana University and The Ecology Center should serve as a warning for many parents. The researchers found that many child’s car seats contain toxic flame retardants. The researchers tested 36 fabric and foam samples from 18 different car seats, all of which were made in the United States, Canda, and China between January 2017 and February 2018. In the early 1970s, the National Highway Traffic Safety Administration mandated that children’s car seats meet the flammability requirements for car interiors. However, despite the countless health effects that are associated with flame retardants, many companies opt to go that route in an effort to cut costs. Flame retardants, which are often transmitted through the fabric of car seats, have been known to cause liver damage or cancer, issues with brain development, and affect hormone levels. Children can breathe in the chemicals through the dust that accumulates in car seats, by chewing on the car seats, or via skin contact. After the study, the researchers found that 34 out of the 36 car seats they tested contained higher levels of toxic flame retardants -- cyclic phosphate esters (PMMMps) -- than is typical. Additionally, four samples contained decabromodiphenyl ethanes (DBDPEs), a chemical that has been found to cause thyroid problems, hormone imbalance, and oxidative stress. 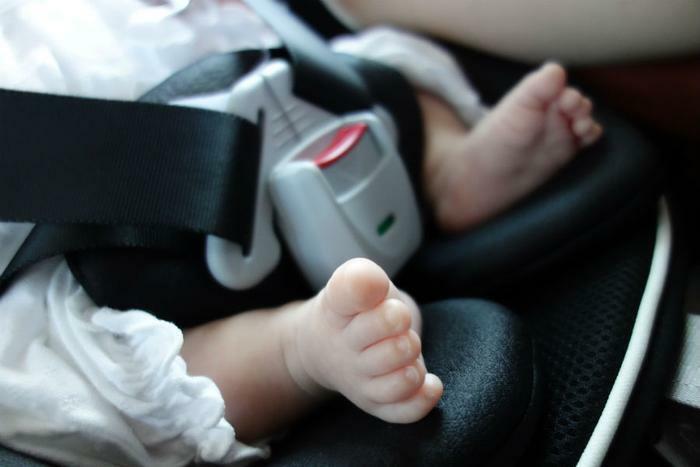 Three-quarters of the samples contained polybrominated diphenyl ethers, though in low levels that the researchers believed were unintentionally added to the car seats. Though many companies have opted to use toxic chemicals, the researchers did find several alternative options that are healthier for consumers. “UPPAbaby developed the first naturally fire retardant car seat because our passionate customer base wanted a natural alternative,” UPPAbaby CEO Bob Monahan told The Ecology Center. “So, I challenged our R&D team to come up with something that had never been done before. Despite this move towards a healthier alternative, many of these all-natural car seats come with a rather large price tag that many consumers can’t afford. Additionally, the researchers aren’t sure about the side effects that come with these healthier options. The Ecology Center created a chart for consumers to reference that ranks popular car seat brands based on their chemical hazard rating, which can be found here.